YACOLT — The Chelatchie Prairie Railroad will be be subjected to its first train robbery of the season, Sat., June 30 and Sun., July 1 to commemorate Independence Day. Area residents can take a ride and be a part of the action as the “robbers” stop and board the train then make off with your valuable coins and jewelry. Will the sheriff arrive in time to capture the thieves? The train makes a stop at Moulton Station to view Yacolt Falls and allow the passengers to visit with and perhaps have their photo taken with the robbers. Trains depart the Chelatchie Prairie Station on N.E. Railroad Ave. in Yacolt, just south of Yacolt Rd. each day at noon and 2:30 p.m. Those attending should plan to arrive 30 minutes prior to the scheduled departure to allow sufficient time to pick up tickets and board the train. 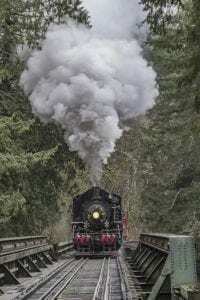 Steam Train Tickets are $20 per person, $19 for seniors, $15 for children five to 12, and $13 for little ones two to four. Babies up to age two are free. 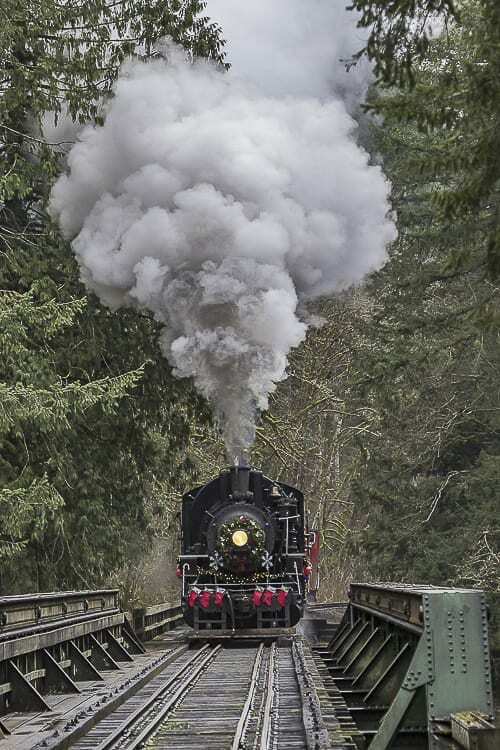 To buy tickets and reserve a spot on this popular and scenic train ride, visit www.bycx.com or call (360) 686-3559. Reservations are recommended as this is a very popular event and can sell out.